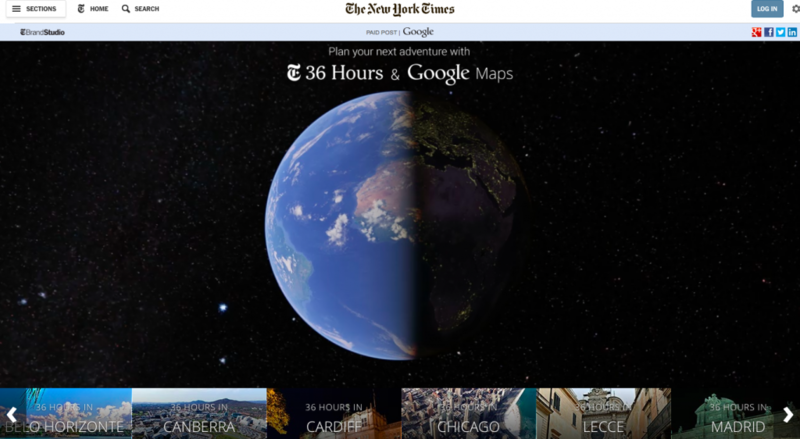 When is a print advertorial a native ad? 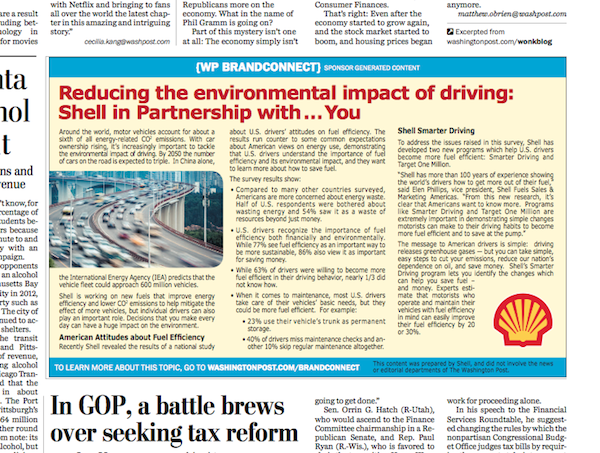 The Washington Post published an ad for Shell in Thursday’s print edition that it’s touting as its first native ad in print. 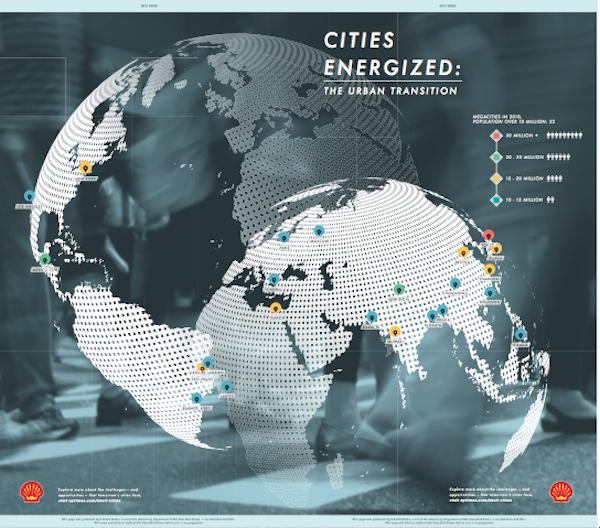 Shell used the ad, which ran on A13, to tell readers about the work it’s doing to improve energy efficiency. 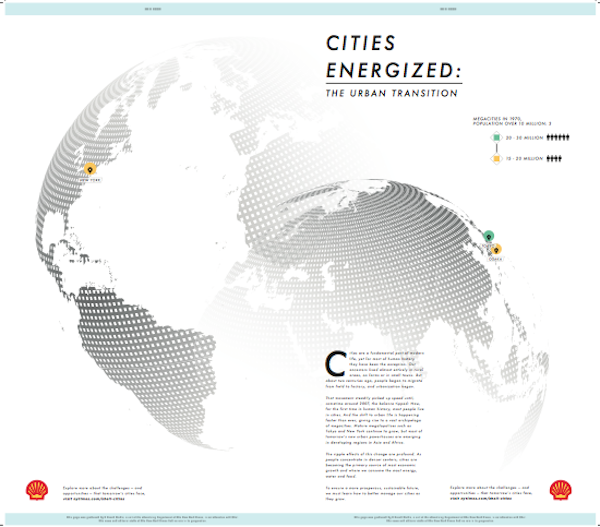 A nearly identical version ran online. Many will no doubt see the Shell ad as a classic advertorial type ad that publications have run in print forever. But the Post said the Shell execution is true native because it’s integrated among editorial stories on the page. It’s labeled “sponsor generated content” and visual cues of background shading and fonts that are different from the surrounding articles. Even so, it sure feels like the White Flag of Old Journalism.